In its advice to students about preparing for the ACT test, ACT suggests that it is important to eat breakfast before taking the test. 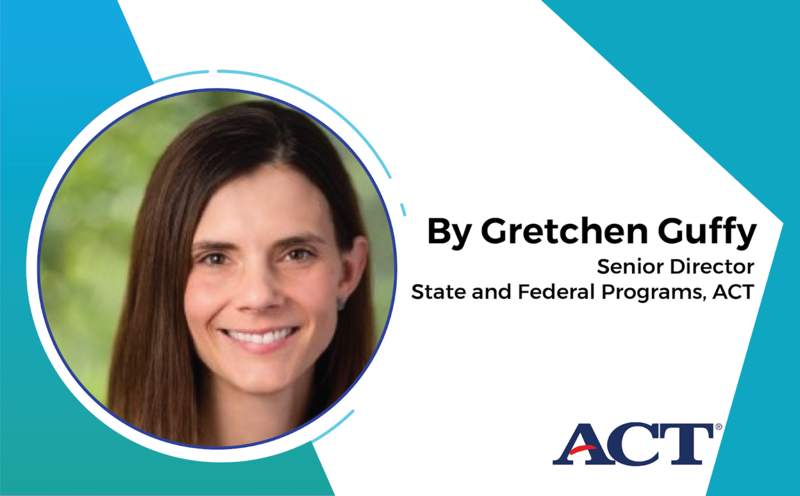 It’s good advice: ACT research has shown that, on average, among students who had taken the test twice, those who reported eating breakfast before the second test earned a higher ACT Composite score on that test than on the first test. And the average score increase was also higher than the comparable increase for students who reported not eating breakfast before the second test. These results almost exactly matched the results for students who reported sleeping 7 to 9 hours the night before the second test versus those who reported sleeping 0 to 3 hours. This work is just one part of a significant body of policy research demonstrating either the negative effects of student hunger on student cognition and academic performance or the positive effects seen in the performance of students who eat breakfast before taking standardized tests. The research points to the potential benefit of breakfast before testing, which can help to offset hunger during the administration that could detract from students’ ability to perform. But even more simply, it can help ensure that students begin the test day with something in their stomachs. These benefits may be especially important for lower-income students, who are more likely than other student groups to face food insecurity. One day last fall I heard a story on National Public Radio about a recent research study that would seem to bear this out. The researchers (including Orgul Ozturk of the University of South Carolina, who was interviewed for the story) found that the standardized math-test scores of South Carolina elementary and middle school students whose families participate in the federal Supplemental Nutrition Assistance Program (SNAP) tended to be much lower when the tests were given just prior to the dates when the families receive their monthly SNAP benefits. The researchers theorized that this may be because the families have less food in the house at that time each month. As ACT’s senior director of policy and planning, I am well aware of the ability of our research to identify a problem and recommend solutions but not always to do something to help solve the problem ourselves. But now, suddenly, listening to the radio, a way to potentially do just that occurred to me: Why couldn’t ACT experiment with offering test-takers breakfast right before a national administration? We could, as it turned out. We reached out to potential partners and ultimately, thanks to assistance from the Child and Adult Care Food Program, a federally funded program administered by the Virginia Department of Education’s Office of School Nutrition Programs, we were able to offer breakfast at test centers in five schools across the Commonwealth where half or more of the student population is eligible for free or reduced-price lunch. While we look forward to analyzing the results of these test administrations, we already know that, in our own small way, ACT is helping to address the problem of hunger in the U.S., and even if it turns out not to be a total solution to opportunity gaps between potentially food-insecure students and those who are not, it is definitely an equity builder—part of our overall effort to support students in whatever way we can on the path to college and career readiness. We sincerely thank those who helped us with this initiative, and we anticipate its eventual expansion.